Yes indeed, it’s “21st Century Schizoid Man” and both the title of the painting and the song. This magnificent piece, (not sure if I’m talking about the song or the painting – probably both) entitled Portrait of 21st Century Schizoid Man, watercolor (1969) was painted by British artist Barry Godber (1946-1970). 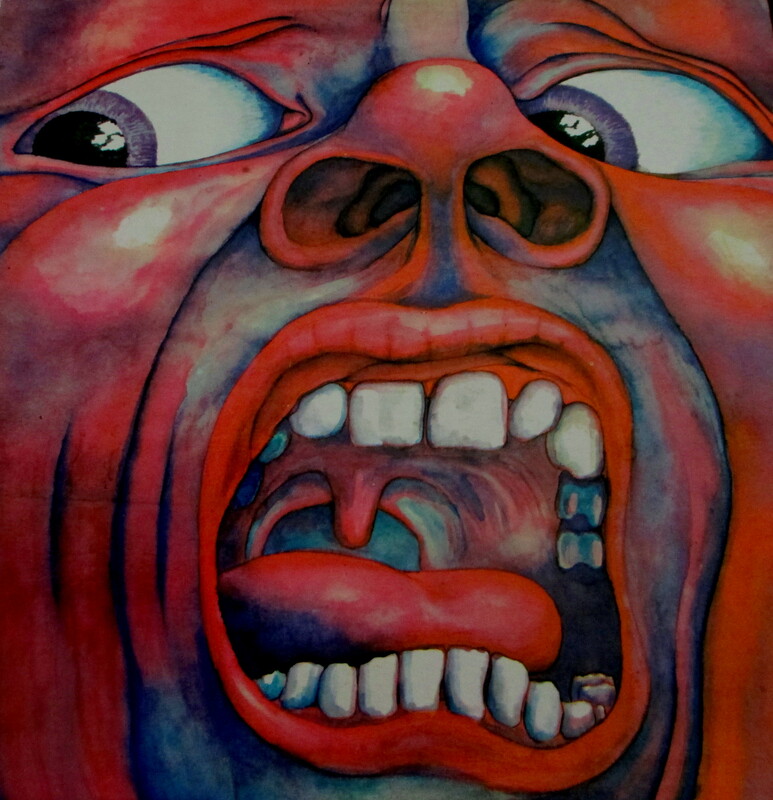 This painting (owned by original band member, Robert Fripp), appears on the cover of British prog-rock band King Crimson’s 1969 album “Court of the Crimson King.” Little is known about Godber, other than he was both an artist and a computer programmer and this was the only album cover he ever painted. The cover was as much a definitive statement and a classic concept album. Unfortunately, Barry died way too young, in February 1970, at the tender age of 24. “Nothing he’s got he really needs…”Twenty first century schiziod man.” -words by Pete Sinfield. This is my inaugural piece for my new category – Cover Art. This entry was posted in Cover Art, Paintings, Watercolours and tagged #CoverArt, 21st Century Schizoid Man, Barry Godber, In the Court of the Crimson King, King Crimson, Robert Fripp. Bookmark the permalink.